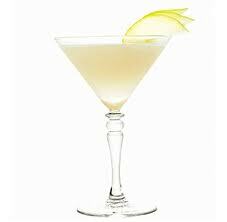 THE MARTINI CHRONICLES: Martini Thursday...the Pear Cosmotini! Greetings Divas and Gents! I know it has been quite some time since I have posted a new martini recipe, and I sincerely apologize to each of you. Life has been busy as of late...in a good way of course! My family has been doing great and work has been really busy, both of which are good things. But I am cognizant of the fact that I have been neglecting the Chronicles and its readers, which is bad thing. In any event I realize that balance is necessary, and I am actively making strides to reincorporate balance back into my life...starting this week! There is one good thing that has come out of me being busy and missing the opportunity to bring you all new martini recipes...I have amassed tons of recipes that I want to share with you all! Some I have created on my own. Some I have found in different restaurants and bars. And there are some that I have received via email from my fabulous readers (thank you!). Today...the Pear Cosmotini! This recipe combines the sweet taste of pear with the tartness of a classic Cosmopolitan...a double win! Try it out. Let me know what you think. Ah....it feels so good to be back! Enjoy! 1. In a shaker, combine Vodka, St. Germain, Cranberry Juice, Triple Sec, and Lime Juice. Shake! 3. Garnish with a Pear Slice. I hope you all enjoy the Pear Cosmotini. I also promise that I will be more present around here! Have a great Friday and weekend! And Drink Responsibly!